A simple Forex trading system is a dream for anyone that is getting started with this type of trading. The basic rule behind all trades is quite simple and everyone knows it. It’s to buy as low as possible and to sell as high as possible. When it comes to Forex and making money with it, it doesn’t get any simpler than that. A lot of beginner traders hear about Forex and they have the impression that it’s a get rich quick method. With the wrong mindset they use the wrong methods and they lose money. While it does happen that some people get rich quickly with this method, that’s the exception and not the rule for most traders. Believing that you’re one of the lucky few is a quick recipe for disaster. Most people need to start slowly and to try to make profits constantly, instead of going for the big win that will make them rich. Taking it slow is the best advice a beginner can receive when it comes to trading Forex. You need to be patient, you need to find the opportunities and then to allow them to develop. A lot of traders have problems with the waiting part or they are greedy and don’t realize when they need to cash in. In order to realize when it’s the time to buy and when you should sell, the easiest way is to look at charts over a certain period of time. Usually the daily and the weekly charts are the ones consulted, but it’s also helpful to know a currency pair’s history. When you look at their histories you usually see movement patterns appearing, so taking the bigger picture into consideration is quite helpful. 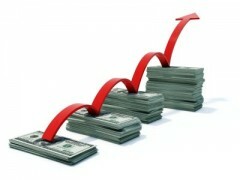 The easy trading system for Forex would be to issue an order in the lower range of the currency. The stop should be out of the bottom range and the profit order needs to be at the range top. After that you just need to wait. While it might sound like an easy way to make money, most people don’t manage to make a profit. The problem for a lot of them is that this type of investment requires a bit of patience. Sitting on trades until you either hit the target or you lose the money is something a lot of people can’t do. Since traders want to keep trading, they sabotage their own efforts by giving up too early. A simple thing to remember is that you should never enter trades which have the potential of wiping you out completely. If there is a chance that you will be wrong in a heavy way and there will be changes of hundreds of pips, avoid to trade. While this type of system is not a quick one, if you have patience and you invest over a longer period of time, the profits are easier to achieve. Don’t try to reach the smallest point in order to buy. You can do it at any point as long as it’s below the line. You can sell at any point once it grows back. If you’re looking to make profits with Forex you have to be able to accept when you’re wrong and you need to limit your losses. If you either avoid using leverage or you use low leverage, the chances that you will win are even better. People that start trading with $500 in their account and dreams of becoming rich quickly are the ones that fail in most cases. While making money with Forex is certainly possible, it’s not a method of getting rich quickly and you should avoid thinking like that. You need to invest a lot of patience and a lot of money in it and if you do everything right, you will make a lot of money from it, but in the long run. There is a lot of software available online, but in most cases you end up losing money if you base your decisions on them. There is no easy way out when it comes to trading Forex and I strongly advise you not to think like that if you’re a trader or you want to become one.